The Nigeria Extractive Industries Transparency Initiative (NEITI) has stirred the hornet’s nest with its audit report on the oil and gas industry. The report raised some weighty issues that require the attention of the Nigerian National Petroleum Corporation (NNPC). But, with NNPC’s status as a regulator and commercial player, stakeholders are wondering whether it can address the issues, writes AMBROSE NNAJI. Nigeria Extractive Industries Transparency Initiative (NEITI) Executive Secretary Adio Waziri touched raw nerves when he said more than 50 per cent of the problems in the oil and gas industry were traceable to the Nigerian National Petroleum Corporation (NNPC) because it is both a regulator and a commercial player. “You can even say the NNPC is the government; the difference between the government and the NNPC is yet to be clearly defined,” Waziri said, in his presentation of the findings of NEITI’s audit report on the oil and gas industry. According to him, the audit report was to ensure that the income made from the sector was used to develop the sector and build the economy. The NEITI boss also said it was to ensure that income from the sector was invested in the people to increase their productive capacity as well as turn the nation to a reproductive rather than extractive economy. He, therefore, stressed the need to give good stewardship of the resources so that those who coming behind would also have something to lean on. “It’s not about NEITI, but about all of us. We could better use and enhance the resources, but we have not done this as a country,” he said. He noted that although, there have been improvement; there was still room for more improvement. According to him, the oil and gas industry was still the country’s major source of foreign exchange and revenue to the government. “On the basis of this, we have to use it judiciously,” he said. Waziri’s submissions have reopened an age-long controversy over whether or not the NNPC remains an unbiased industry umpire. NEITI identified a number of outstanding and critical industry issues, including the Petroleum Support Fund (PSF) debt, inadequate measurement infrastructure in the oil and gas industry, failure to tender receipts and royalty by companies, delay in payments by companies and delay in completion of audit templates. Others are unpaid consideration for Shell Joint Venture (JV) assets, unpaid consideration for Agip Joint Venture (JV) assets, unpaid royalty from crude oil sales, unpaid Niger Delta Development Commission (NDDC) levy, and Petroleum Profit Tax (PPT) liability, among others. Most of the findings of the report, Waziri said, have been recurring, but what NEITI normally observes are changes that replace one problem with another kind of problem. “The issue of subsidy was a very big topic in the NETI audit report, but today there’s no more subsidy, at least, in the public knowledge,” he said. On the issue of cash call, Waziri noted that there is still over a billion dollars cash call refundable by the National Petroleum Development Commission (NPDC), demanding that something should be done about this. “They (NPDC) were still receiving cash call on it, so why should we stop talking about it,” Waziri said. On the issue of Nigeria Liquefied Natural Gas (NLNG) dividends, the NEITI executive secretary said the last response NEITI got from the NNPC was that they got the NLNG dividends and a letter from the Presidency that they should retain and use the dividends as directed. “But we demanded to see the letter, to see what is spent and what is left. Until we get clarity about all these issues, what is resolved, we take it off the table because there are fundamental issues. Money was paid and acknowledged it was paid. What happened afterwards is not clear,” Waziri added. Waziri said when NEITI started the remediation process, the first thing it did was to do a status update. He said many times the agency had to shift the deadline for the NNPC to tell them the status of those issues. “We expected them (NNPC) to say this is what we have resolved; this is what we are doing. What we have here is the status update of the various remedial issues. What have been resolved, we acknowledged them, we strike them off. But the ones that were partially resolved, the ones that are yet to be resolved, we put them in red. We didn’t just sit in our office,” he clarified. Waziri, however, noted that the NNPC is now more responsive, adding that the Corporation has published its financial and operational report up till June 2018. “NNPC is actually more open, more advanced than it used to be, but we also need to engage them the more in what we are putting out,” he said. The Assistant Director, Solid Minerals, NEITI, Dr. Dieter Bassi, urged the government and its agencies, including the NNPC, to summon the political will to implement the audit findings. He also advised the government to change some of the policies and practices in the industry. This, he said, will help resolve some of the lapses observed in the audit findings. He said looking at the issues that have been occurring over the years, there are things that required to be changed including the Production Sharing Contracts (PSCs) Act. “These are laws that are out-dated and needed to be amended in tune with what is obtainable in the industry today. We need to be proactive and start putting these legislations in order,” Bassi said. The NEITI director said even though the country is still waiting for the Petroleum Industry Bill (PIB) to be signed into law, there is room for a quick fix by adjusting and putting some regulations to address some of the issues. He, therefore, recommended the use of executive order in amending the guidelines, adding that once there is the political will to effect the changes, it becomes more beneficial for the industry. He pointed out that NEITI does not have the legal backing to effect these regulations/findings by itself even though it is being perceived as part of the presidency. Bassi noted that although, some reforms are on-going at the NNPC, the Corporation was still a long way to getting it right. “We are in a situation where we need revenues coming into the country. We need more revenue for the government. As it is now, we are operating virtually on deficit; we are out of recession, it is believed, but we need as much revenue as possible,” he said. The National Coordinator, Publish What You Pay, Nigeria, Peter Egbule, observed that stakeholders, including the ordinary Nigerians, saw the NNPC as the major challenge in terms of revenue accrual and crude allocation. Egbule argued that what’s important at this time around is how to better engage with the Corporation in very concrete, specific terms different from previous engagements on how to come up with solutions to the NEITI report findings. He expressed regrets that from 1999 till present, a number of critical industry issues have been raised by various audit reports, yet the industry has not gotten to where it supposed to be. Egbule advised the government through the NNPC to begin to close observed gaps, discuss and bring out alternatives, and look at the things they have been doing and find innovative ways to improve on them and possibly look at alternative means of resolving the knotty issues. He also noted that there are a lot of things around the political will, and one of the things that should be looked at is how to get to a point where the country will have a president that’s elected not based on the interest of some political elites, but on issues based politics where he could be held accountable. Egbule also stressed the need to push the issue of the petroleum industry reform to the front burner, where, according to him, there’s a clear statement that whoever becomes the president could be held accountable and ensure he delivers on his promises. For the Managing Partner, TSEDAQAH Attorneys (TA), Ikechukwu Uwanna, there is the need to revisit the legislative and legal framework in the industry. According to him, a number of regulations in the oil and gas sector including the gas flaring regulation are mere rules. He advised that such rules should be transformed into legislations, adding that laws have sanctions that back them up. Uwanna pointed out that a lot of the inadequacies in the industry are because it is more difficult to get the International Oil Companies (IOCs) and the multinationals to respect the laws. The legal practitioner recommended the use of class actions, where a number of stakeholders including the government agencies, individuals, communities, and civil society organisations can come together to address some of the outstanding remedial issues that have been on the table for a long time. The Project Director, Nigeria Anti-Corruption and Criminal Justice Fund, Chinedu Nwagu, gave kudos to NEITI for its efforts in trying to ensure a broadened transparency particularly in dealing with the remedial issues from the audit reports. Nwagu said the Fund’s partnership with NEITI was to ensure that the nation’s extractive industry, which accounts for the bulk of its resources, was governed with as much transparency as possible. He noted that lots of unremitted revenues from the oil and gas industry had significantly undermined the country’s socio-economic development, as monies that could be invested in infrastructure, health, and education were frittered away. Nwagu observed that there’s little or no oversight in the sector hence, NEITI occupies a critical space. He said although, the agency may not have the backing of the law to enforce decisions, its reports are good materials for advocacy by the civil society and the media. He said the anti-corruption fund was set up to support the presidential advisory committee against corruption. According to him, NEITI was one of the platforms the Fund found as an entry point to beaming the light on accountability and transparency in Nigeria. “NEITI has done a lot of work, a lot of background research. So, we support them to publish those reports. We will also mobilise other interested actors to speak and to galvanise actions towards ensuring that those responsible for not making the account straight are brought to book,” Nwagu said. A former member of civil society and NEITI, Dr. Mohammed Mustapha, said the issue of political will had been a major problem in the implementation of the audit findings, wondering how the industry would move forward without this. “We talk about political will, but how do we make it work?” he asked, pointing out that most of the agencies that were indicted in the NEITI report in the past didn’t take any practical steps to addressing the issues raised. “We need to get a practical solution to this; we need to get to the point where these organisations can be made to participate”, Mustapha said, stressing the need to get the commitment of the office of the vice president to make these organisations participate in the exercise. Indeed, in addressing the issues of remediation, the civil society has a lot of work to do in trying to educate the public. They make a lot of noise such that policy makers would really get involved in doing what they needed to do. This is more so because it is not about single issues, but about total reform of the oil and gas industry especially changing the NNPC’s business model, which accounts for a lot of the issues. Although, stakeholders acknowledge the reforms going on in the sector, but their consensus is that there need for more reforms, which must be timely and properly implemented for the sector to move forward. An industry stakeholder, who gave his name as Leo Adafor, advised the presidency to extend its anti-corruption fangs on those persons/organisations that are benefiting from the continuous re-occurrence of the remedial issues in the NEITI audit reports. According to him, there are certain powerful persons that are benefiting from the status quo. He also called for political will by the National Assembly, noting that lawmakers, through their oversight functions, also need to be close to NEITI and hear them out on all issues being highlighted. The General Manager, Crude Oil Marketing, NNPC, Mr. Mansur Sambo, said some innovations are going on in the NNPC. He, however, said the problem was that people would not know except through engagements. Sambo said the NNPC was ready to support the initiatives of NEITI, civil societies and others in order to support transparency. “We will continue to support such initiatives and provide all the support and information that we need to provide in order to move forward,” Sambo added. He said the NNPC has made substantial progress in the EITI initiative. According to him, what brought NNPC to the level that it is today is the frequent engagement over the years since the enactment of the NEITI Act. Sambo said the engagement started with the reconciliation of crude oil produced, recalling that at some point one of the allegations/issues was that the NNPC does not even know what Nigeria produces as a country. He added that through frequent engagement, that’s not the discuss today. He maintained that the NNPC has moved from hydrocarbon accounting to hydrocarbon revenue accounting, and has even transited to hydrocarbon revenue utilisation. His words: “We have moved through all these stages because of the engagements we have been having in the past. Sambo clarified that some of the perceptions people were having about crude oil disappearance did not even happen in the terminals. “We have been able to clear some of the issues with further engagements,” he said. He also stated that with engagements the Corporation has been able to convey to its stakeholders and the civil society organisations that it is not only oil that should be focused on, but many other elements of the agreements it signed in the past. 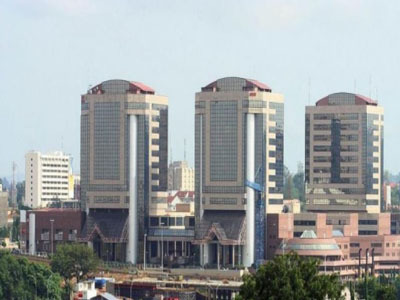 The NNPC general manager further said the NNPC has continued to pursue the deep offshore act, but that there are many fundamental and salient items that could be looked at that will give the country more revenue than the deep offshore act. Sambo, who also pointed out that the PIB is part of the solution to the push for increased revenue, however, said PIB alone will not address all the issues in the industry. The Managing Director, NNPC Capital, Godwin Okonkwo, said some of the issues that happened in 2014 have been addressed. He, therefore, stated that it does not help matters if NEITI continues to repeat them. According to Okonkwo, there is something called post balance sheet paid event, which is an issue that happens after the cut-off date of an audit. He said there was need to look at those events and if they had been addressed within the period of the audit, then they should be deleted from the list of the outstanding. He pointed out that it is by addressing issues raised and removing them from the list so as to address new things that the country and the oil and gas industry will make good progress. The NNPC managing director insisted that since the new regime came on board, there has been remarkable difference in what is coming from the NNPC. He advised NEITI to continue doing what it is doing, and also report any issues in the field to the appropriate authority and the relevant office in charge. “I insist that whatever you (NEITI) do, you must put the NNPC Capital in the list. This will ensure that any information going out reflects the actual position and that you can be sure it is the position of the Corporation,” Okonkwo said. He also advised NEITI to always crosscheck their findings from the Central Bank of Nigeria (CBN), Ministry of Finance and other government agencies whether the information the NNPC is giving out is true or not. Okonkwo also urged NEITI to be open mindedness when expecting a response from the NNPC. According to him, NNPC’s answer must not be exactly what NEITI expects. He promised to make himself available for questions and clear some of the issues in the NNPC. He also assured NEITI of the Corporation’s continued support of its efforts, noting it’s for the benefit of the nation. “For sure, they have been doing good jobs. On our own part, we will continue to give all the support that will make our operations very clear to everybody. If we have recommendations for improvement, we will accept them. We have an open mind,” Okonkwo said. Waziri, however, explained that NEITI sent the finished audit report to the relevant entities, especially the NNPC, for their response. “We include it if we are satisfied and take it off if we are not satisfied. We will live it for the public to decide,” he said. The Executive Secretary said this was unlike the past where NEITI would just go to town with its claims, then the entities will come latter to state their our position. “No! This time around we give it to them, they sign off, any stage we have reached we put it there, and some of these responses are worth noting because what we are talking about is Nigeria,” he said. A new dawn in the offing? But it would appear that things are gradually changing at the NNPC. Sambo said, for instance, that the NNPC has started dealing with some of the legal issues, adding that things have changed for the better in terms of the challenges the Corporation faced. He said the Corporation has established a vocal entity within the system to address issues wherever they may be coming from. “We are making internal arrangements/adjustments such that whatever you are looking for we give it to you. “Today, we have the group compliance division in the NNPC where people can make enquiries. It deals with all enquiries that come to NNPC, because many entities are not aware that we have such structure within the system. “They will direct their request to areas where they will not get responses, so whenever they do not get responses they will say that NNPC is not responsive to issues,” Sambo said. While some of these internal mechanisms aimed at repositioning the Corporation for more efficient service delivery are not doubt, it remains to be seen how the NNPC will navigate the landmine tossed on its path by virtue of its status as regulator and commercial player.